Can the media help promote human rights and fight torture in Russia and elsewhere? The World Organisation Against Torture <http://www.omct.org> (OMCT) and the Committee Against Torture from Nizhny Novgorod <http://pytkam.net/eng> organize a panel discussion on 9 November 2017 from 6:30–8:30 p.m. I was in Geneva last week where a number of interesting meetings took place. One of the side events I attended (a picture went out on Twitter), concerned the crucial issue of “ Human rights defenders and national security”, on 9 March organized by a group of NGOs (International Service for Human Rights, Article 19, the International Federation for Human Rights (FIDH), Human Rights House Foundation, the International Commission of Jurists and the World Organisation Against Torture). The panel was moderated by ISHR Director Phil Lynch, and had a very knowledgeable speakers such as Michel Forst, Special Rapporteur on Human Rights Defenders; Hina Jilani, Pakistani human rights lawyer and former Special Representative on Human Rights Defenders; Jimena Reyes, Director of the Americas Desk at FIDH; Roselyn Hanzi from Zimbabwe Lawyers for Human Rights; Gerald Staberock, Director of the World Organisation against Torture (OMCT); and Tanele Maseko, human rights defender from Swaziland. Phil Lynch opened the discussion by referring to unequivocal examples of restrictions imposed on human rights defenders by the operation of counter-terrorism laws, with examples cited including the recent amendments to the Australian Security Intelligence Organisation Act in Australia which criminalises the disclosure of information about ‘special intelligence operations’, even where such disclosures expose or relate to serious human rights abuses; draft legislation in China which vaguely defines ‘terrorism’ to include ‘thought, speech or behavior’ that is ‘subversive’ or seeks to ‘influence national policy making’, and Law 8/2015, passed recently in Egypt, which allows individuals and associations which ‘infringe public order’ or ‘harm national unity or national security’ to be designated as terrorists. Concern was also expressed that renewed US efforts to combat extremism do not contain adequate human rights safeguards and that the imperative to counter-terrorism is being used as a subterfuge by regimes in allied States – such as Bahrain, China, Egypt and Saudi Arabia – to further restrict and repress civil society. Panelists built on these examples throughout the discussion, referring to significant limitations on, and prosecution of, human rights defenders under the guise of national security in their regions, including the prosecution of indigenous activists campaigning against major development projects in Chile under the Anti-Terrorist Act; human rights defenders being spied on by intelligence authorities in Cuba which consequently contributed to their murder; human rights defenders in Zimbabwe being charged for allegedly participating in a disruptive demonstration, or under the Official Secrets Act which forbids the release of information, even if that information regards human rights violations; and human rights defenders being imprisoned and labelled terrorists for voicing disagreement with the government in Swaziland. Members of the audience provided further examples, including defenders in South Korea being charged under a law that prohibits support for North Korea. ‘A schizophrenia currently exists in many countries where authorities laud their own human rights mechanisms in the international sphere and then actively criminalise the activities of human rights defenders at home,’ said Hina Jilani. It is essential that along with a national law for the protection of human rights defenders, counter terrorism laws do not impose restrictions on those protections. ‘Counter terrorism laws should be developed in a manner that fights terrorism, while at the same time, respecting the legitimate work of human rights defenders,’ said Gerald Staberock of OMCT. The panelists also stressed the importance of ensuring the rights of human rights defenders are not constrained under other laws, such as laws prohibiting criticism of the head of state, emir or the army. The discussion also highlighted the necessity to ensure the independence of the judiciary. In this regard, Jimene Reyes of FIDH referred to the use of the judicial system in Cuba as an ‘instrument of uncritical oppression’. Members of the audience identified the importance that the judiciary, as well as the executive, must be able to recognise and respect the legitimate activities of human rights defenders. Similarly the importance of the separation between the State and the military was emphasised. Ms Reyes stressed the risk for human rights defenders if they are ‘considered by the military to be the enemy’. While there is a clear trend of governments using counter-terrorism legislation to conflate the legitimate activities of human rights defenders with actions that threaten national security, the panelists were in clear consensus that human rights defenders and a strong and healthy civil society is essential to the stability of the State and good governance. ‘The work of human rights defenders and other civil society actors is crucial to address inequality and to promote good governance, accountability and inclusive development, all of which contribute to national security,’ said Phil Lynch of ISHR. ‘However, to ensure this is possible, it is essential to raise national and international awareness of the pitfalls of counter-terrorism legislation and the importance of civil society participation’. The event concluded with a reflection of the need to counter the ‘rhetoric of fear’ and firmly establish that ‘the rights to peaceful assembly and of association do not encourage extremism, chaos, or violence but are, in fact, the best antidotes we have against all of these ills’. Myself and others brought up the need to fight back in the public domain and the media against campaign to delegitimize the work of human rights defenders and show more the positive contribution their legitimate work brings to society. National security: Counter-terrorism laws must not criminalise human rights defenders | ISHR. The next ‘logical’ step by Russia in curtailing the work of human rights defenders is in the making: on 20 January the Russian Parliament (Duma) will debate a bill to declare certain foreign and international organisations as ‘unwanted’ and to fine anyone working with such entities. The Observatory, a joint programme of FIDH and OMCT, issued a statement today calling on the Duma to drop this bill. If adopted, the law will complement an already very restrictive legislative arsenal used to silence all forms of criticism against the regime in contradiction with international human rights instruments ratified by Russia and will allow authorities to ban legitimate human rights activities, though they are protected under international law. On January 14, the State Duma Committee on Constitutional Legislation recommended that the lower house pass a bill to ban “undesirable foreign organisations” in Russia and ban cooperation with them. The bill, presented initially by two members of Parliament, would allow the Prosecutor General’s Office, upon consultation with the Foreign Ministry and based on information provided by the interior and security agencies, to ban foreign and international organisations that “threaten the defence or security of the State” or “public order and health”. The Observatory for the Protection of Human Rights Defenders, an FIDH-OMCT joint programme, expressed its concern that the Hungarian government is alarmingly shrinking the space of civil society by hindering their access to funding, conducting unexpected inspections and blacklisting prominent human rights organizations. The Observatory – not by accident – did so on 12 June 2014, the day the Hungarian Government was meeting representatives from a group of donor Governments including Norway. The ‘eastern’ pull of Ukraine is now also reflected in its repressive legislation on human rights defenders. On January 16, 2014, Ukrainian Parliament unexpectedly and hurriedly adopted a comprehensive restrictive bill, which punishes protests, criminalises libel, restricts civic organisations receiving foreign funding and labels them as “foreign agents”. The bill, entitled “On Amendments to the Law on Judicial System and Status of Judges and Procedural Laws on Additional Measures for Protecting Citizens’ safety”, was introduced on January 14, 2014 and voted only two days after, with no legal assessment, no parliamentary hearings, and no consultation. The text was swiftly adopted by show of hands, backed by 235 out of 450 parliamentarians, before it was immediately signed it into law by the President. According to the bill, all civic organisations receiving funds from foreign sources must include in their title the term “foreign agents”, register as such, submit monthly reports regarding the organisations, publish quarterly reports on their activities in the official media and may not benefit from a tax-exempt status. The bill specifies that all organisations taking part in political actions, defined as actions aimed at influencing decision-making by state bodies, a change in the state policy which those bodies have defined as well as forming public opinion for those purposes, are deemed civic organisations. Organisations failing to register may be closed by court decision. Ukraine: Call to repeal highly restrictive law on so-called “foreign agents”, libel and extremism, which blatantly violates Ukraines international obligations / January 20, 2014 / Urgent Interventions / Human rights defenders / OMCT. The Observatory for the Protection of Human Rights Defenders, a joint programme of the International Federation for Human Rights (FIDH) and the World Organisation Against Torture (OMCT), published on 14 February 2013 a report, which presents the findings of a judicial observation mission conducted on the trial in appeal of prominent human rights defender Nabeel Rajab. 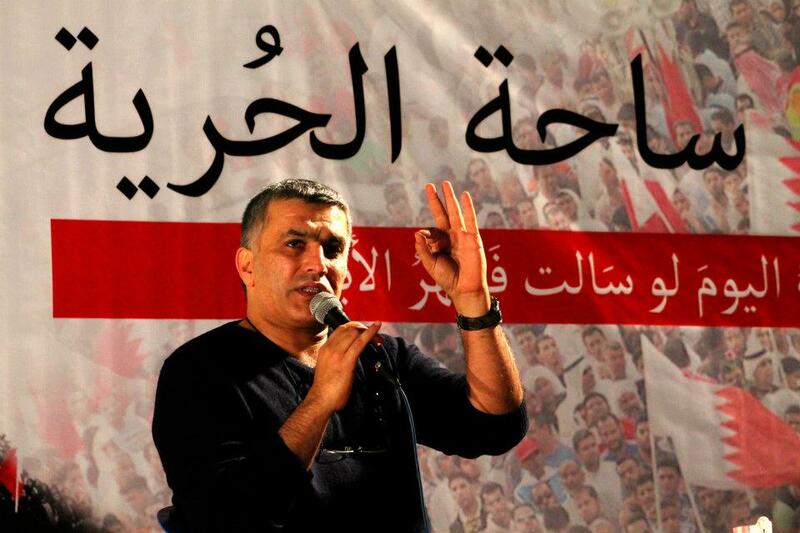 The report concludes that a series of violations of the right to fair trial marred the judicial process and that Nabeel Rajab is suffering judicial harassment (and was sentenced to 2 years imprisonment) for merely advocating for and exercising the right to peaceful assembly in Bahrain. The report is available in English and Arabic. IPS reported that on Monday 24 October a symbolic empty chair was at the launch of a report on the repression of human rights defenders, a physical reminder that its would-be occupant – Ales Bialiatski, president of Human Rights Centre Viasna in Belarus – has been languishing in prison since August. Bialiatski is charged with tax evasion, but supporters say it is clear that the charges are in retaliation for his long and distinguished career of human rights activism in the country. The chair was also empty for the hundreds of other human rights defenders across the world who have been deprived of their freedom and fundamental rights, leaving a void in the communities they worked to protect. The Observatory for the Protection of Human Rights Defenders, a joint programme of the International Federation for Human Rights (FIDH) and the World Organisation against Torture (OMCT), published its 600-page report on individual human rights defenders and organisations that faced repression between January 2010 and April 2011. It covers 70 countries in Sub-Saharan Africa, North Africa, the Middle East, Asia, The Americas and Europe. The abuses cited include the ‘usual’ harassment, threats and arrests, arbitrary detention, defamation campaigns, and restrictions in terms of freedoms of association and expression, but also notes Antoine Bernard, of FIDH, a trend to the criminalise social protests. “That is a very universal trend, to use the law not as a protecting tool, that is supposed to be its role, but law as a repressive tool to arbitrarily provide the legal basis for silencing human rights defenders”, he said to InterPress Service (IPS). “A threat to a human rights defender very often transcends beyond the individual case, it carries a shadow to society at large,” concluded Gerald Staberock, secreterary-general of OMCT. The United Nations special rapporteur on the situation for human rights defenders, Margaret Sekaggaya, underscored the importance of implementing the Declaration for Human Rights Defenders that the General Assembly adopted back in 1998, and the importance of disseminating information about it. “It is still an instrument that is not sufficiently known, either to those who should shoulder the main responsibility for its implementation, namely states, or to those whose rights it sets out to protect, human rights defenders,” Sekaggaya said.